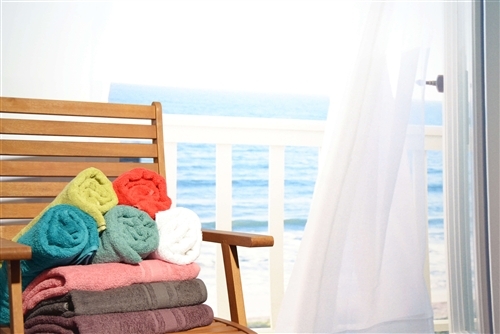 The Plain Dyed towels are 100% cotton and come with various colors. 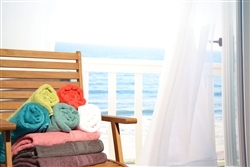 Plain Dyed Bath Towels are made from 100% combed cotton. The 400 GSM thickness also makes towels extremely absorbent and long-lasting, even after many washes. With a large selection of colours to choose from, it's easy to find the right towel set to match your bathroom! The towels felt a little thin but I washed them and they came up a treat good value for money. I was attracted by the colour and received exact colour products. The towels weight a bit lighter than I expected. Have yet to use these towels but they appear to be good value for money. Do wash separately first because when we did we discovered the dye loss is enormous. Good, not as thick as I hoped.